Our kids love to dress up and that they do daily. 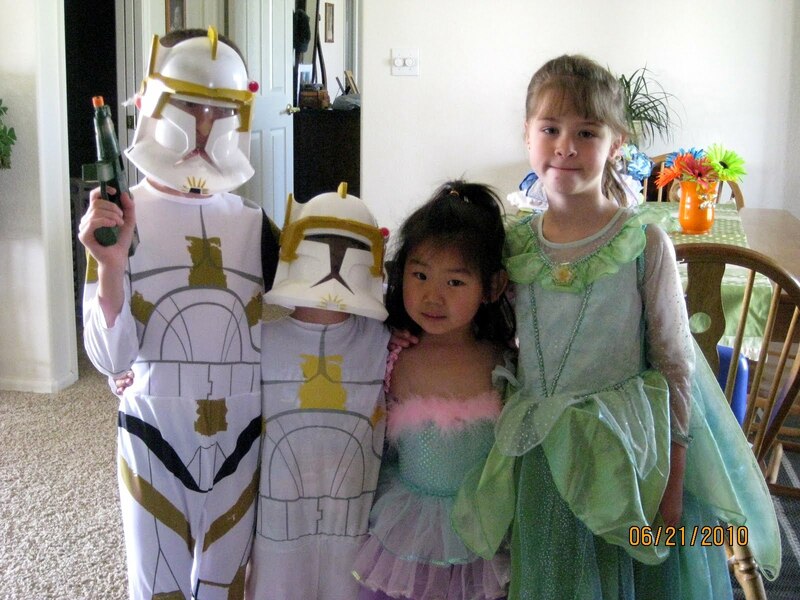 We always seem to have 2 princesses around a couple of star wars guys! But at least it is a chance to get all 4 of them together. Pretty funny kids they are !